Universitˆ degli Studi di Siena: M.A. in Modern Letters with a Modern Languages focus. Antonella holds the DITALS specialization in teaching Italian as a second language from the Universitá per Stranieri di Siena. She is the President of the Associazione Ulisse. She worked as a professor at the Universitá per Stranieri di Siena for more than a decade. 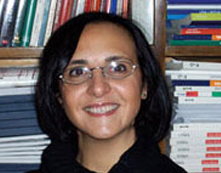 Antonella has most recently co-authored a text on the FICCS instructional approach called L’educazione riflessiva interculturale: L’approccio FICCS allo studio della lingua e cultura italiana and has published several articles along with the Italian language text, Dimmi Tutto! Lewis and Clark College: B.A. in Communications. Michael is the Vice-President and a founding member of the Associazione Culturale Ulisse and coordinates service-learning projects in collaboration with the International Center for Intercultural Exchange and Siena Italian Studies. 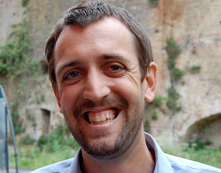 He has worked as the English Program Coordinator for the Siena public kindergartens for four years as well as interpreter for the AC Siena professional soccer team. Michael is also a founding partner of Nove Culturae Ventures, LLC, based in Avon, New York, which collaborates with the International Center for Intercultural Exchange to organize study experiences in Siena. Universitá degli Studi di Siena: M.A. in Law with specialization in Bankruptcy Law. Antonio spent many years working with Sienese Agricultural Commission and then for the Studio Notarile Coppini, where he specialized in inheritance law. For the International Center he serves as a financial and legal consultant. 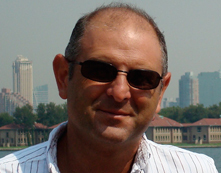 Antonio currently acts as an administrative consultant for various International Education structures and is also a founding member and Treasurer for the Associazione Culturale Ulisse.